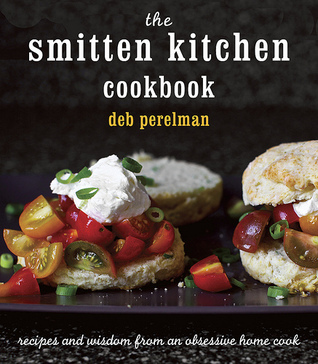 The Smitten Kitchen Cookbook is all about approachable, uncompromised home cooking: stepped-up comfort foods, stewy dishes for windy winter afternoons, an apple cake that will answer all questions: “What should my new signature dessert be?” “What is always welcome at a potluck?” “What did Deb consume almost single-handedly a week after having a baby?” These are the recipes you bookmark and use so often they become your own; recipes you slip to a friend who wants to impress her new in-laws; and recipes with simple ingredients that yield amazing results in a minimum amount of time. Deb tells you how to host a brunch and still sleep in—plus what to make for it!—and the essential items you need for your own kitchen. From salads and slaws that make perfect side dishes (or a full meal) to savory tarts and pizzas; from Mushroom Bourguignon to Pancetta, White Bean and Swiss Chard Pot Pies; from Buttered Popcorn Cookies to Chocolate Hazelnut Layer Cake, Deb knows just the thing for a Tuesday night, or your most special occasion.